Memory-based Collaborative filtering solutions are dominant in the Recommender Systems domain, due to its low implementation effort and service maintenance when compared with Model-based approaches. Memory-based systems often rely on similarity metrics to compute similarities between items (or users). Such metrics can be improved either by improving comparison quality or minimizing computational complexity. There is, however, an important trade-off—in general, models with high complexity, which significantly improve recommendations, are computationally unfeasible for real-world applications. 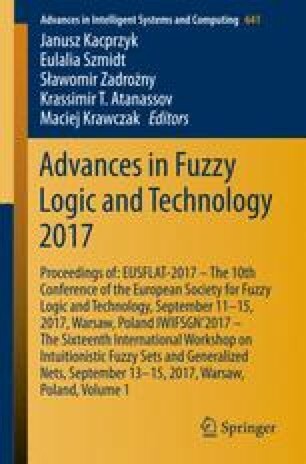 In this work, we approach this issue, by applying Fuzzy Fingerprints to create a novel similarity metric for Collaborative Filtering. Fuzzy Fingerprints provide a concise representation of items, by selecting a relatively small number of user ratings and using their order to describe them. This metric requires from 23% through 95% less iterations to compute the similarities required for a rating prediction, depending on the density of the dataset. Despite this reduction, experiments performed in three datasets show that our metric is still able to have comparable recommendation results, in relation to state-of-art similarity metrics. This work was supported by national funds through Fundação para a Ciência e a Tecnologia (FCT) with reference UID/CEC/50021/2013, by project GoLocal (ref. CMUPERI/TIC/0046/2014) and co-financed by the University of Lisbon and INESC-ID.